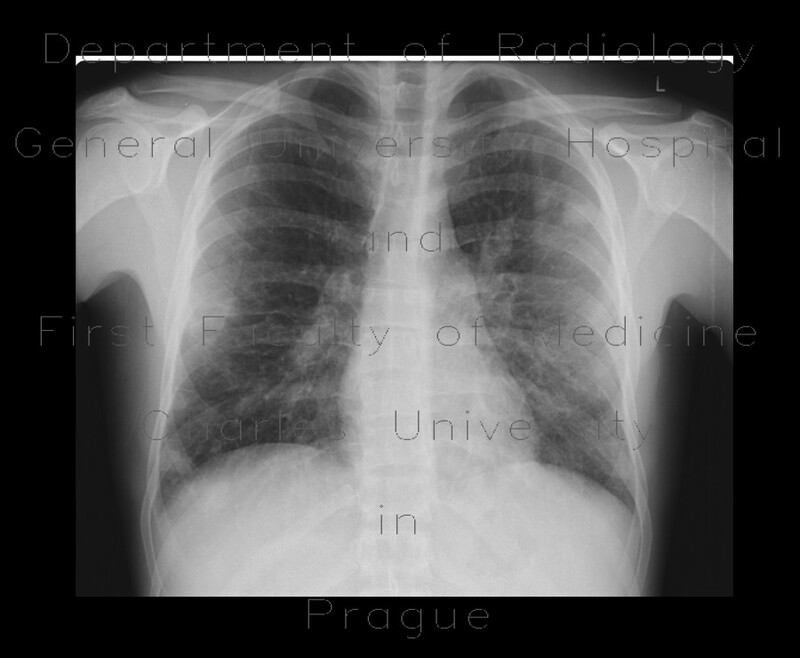 Chest radiograph show several poorly marginated opacities mostly in the periphery of the lung parenchyma that represent septic pulmonary emboli. They are more abundant in lower to middle lung zones. In the brain of this young adult, there are several hypodense cortico-subcortical areas that represent septic emboli.